Mystics, Wizards, Whale Sounds, Marvel and Mayhem: X-Men Galore, Trivia and Wolverine Has a Surprise for You! This week, we delve into some fascinating sciences news, including mysterious ocean sounds explained and breakthroughs in anti-aging! Then Jarman poses some very unique questions to Steve in our new segment, "Hypothetical Hubub," based off the series of questions by Chuck Klosterman - Some really weird stuff to get you thinking. In our feature we delve into the Marvel Universe again, this time focusing solely on the lovely X-Men. 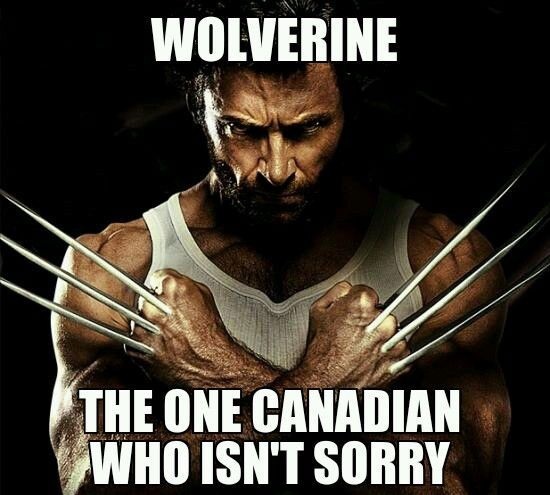 WHY IS THERE SO MUCH WOLVERINE?! Steve challenges Jarman and you all to "Name That Power!" where he gives the names of some more... obscure mutants from the Marvel universe, and we have to guess what powers they could possibly have. I seriously feel sorry for some of these mutants. They're just lame. We also pose a question to you, the listeners, to answer, as well as a trivia question: The first listener to respond to it gets a prize! Poseidon Rex: The derpiest of CGI dinosaurs. Finally, we have more trailer reviews! This time, X-Men: Days of Future Past (How appropriate right? It's like we planned that or something), Jesse Eisenberg in The Double, and the cinematic masterpiece, and no doubt Oscar contender, Poseidon Rex!! !